In his State of The Word this year, WordPress co-founder Matt Mullenweg stated that two thirds of WordPress users take advantage of the platform as a CMS – not as a blog platform. 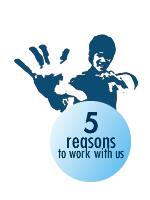 Certainly, WordPress is the most popular open source content management system in the world. 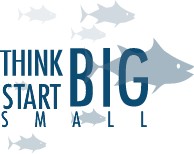 But users often turn to Blogger or Tumblr and the like, when they only want a simple, basic blogging experience. It is true that WordPress is no longer JUST a blogging platform but the myriad options, plugins and possibilities have complicated the experience for users who simply want a way to quickly and easily publish their thoughts online. 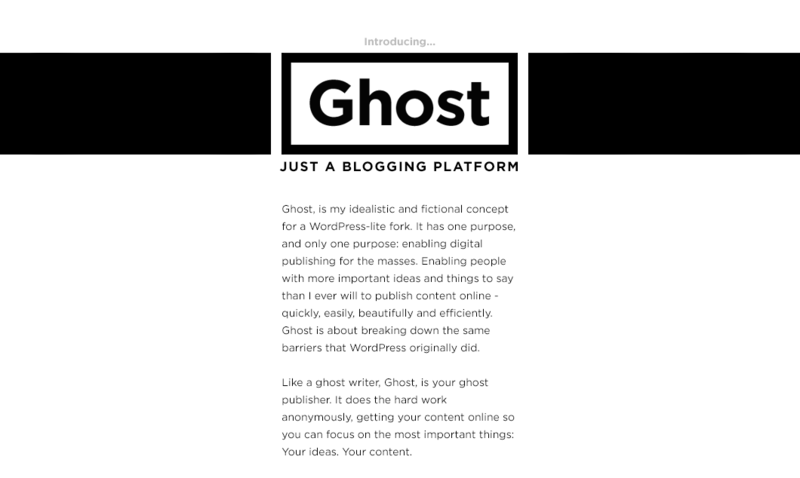 Ghost is a fictional concept project that parses WordPress back down to one simple purpose: blogging. The brainchild of John O’Nolan, a self-described fan of WordPress, Ghost seeks to reinvision WordPress in a much simpler and more intuitive way. He has taken a hard look at how to change the concept back to a blogging platform. You know, just for blogging!